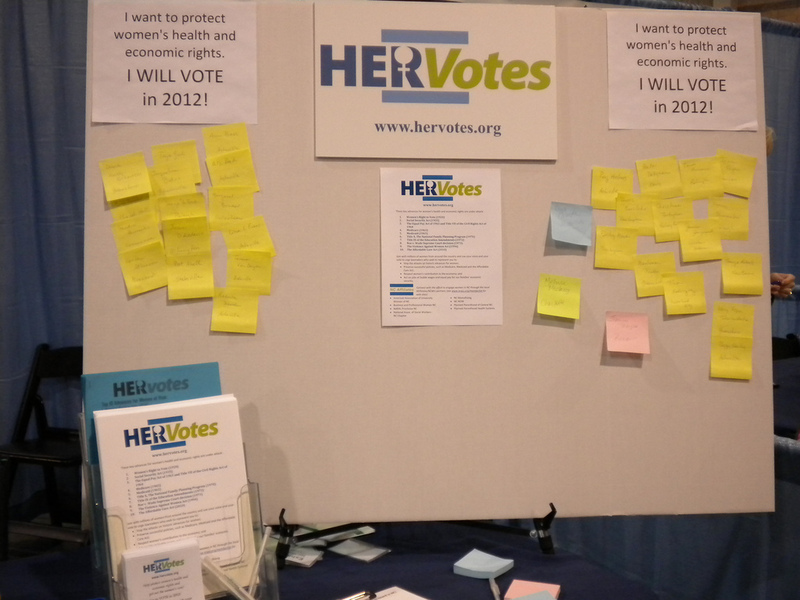 AAUW NC supported NC Women United‘s booth at the NC Governor’s Conference for Women in Charlotte on Nov. 2. 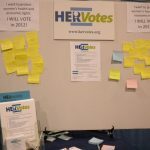 While we did talk to people about AAUW*, NCWU, and the upcoming Agenda Assemblies, our main contribution was to provide handouts on the HERVotes campaign as we talked to the conference attendees about how important it is for women to vote in 2012. 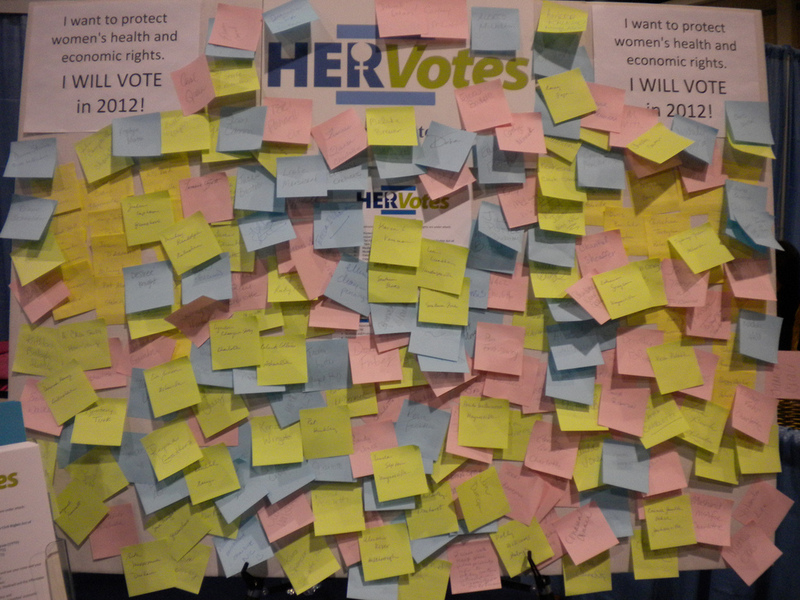 Nearly 170 attendees (more than 10%) pledged to vote in 2012 to protect women’s health and economic rights — the response to our challenge was overwhelming. Another 54 pledged via email during the two days before the conference — more than half from the Tar Heel branch list. 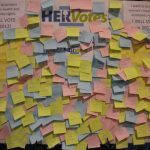 Thanks to AAUW Tar Heel branch members Nancy Shoemaker, Mary Peterson, Becky Mock, Jenine Atoji, Diane Schneider and Robbie Madden for helping to staff the booth. *Of course! See the News 14 video about the conference and catch Nancy with an AAUW brochure in hand about 1 minute into the clip.